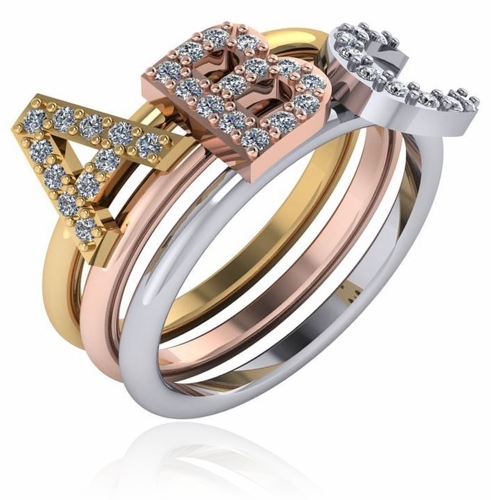 The Capital Letter Initial Pave Cubic Zirconia Stackable Ring offers you a variety of options for a custom personalized look. Monograms and personalization are always in fashion. With this ring you can express your individuality as well as provide a loved one with a unique and meaningful gift. Every letter is beautifully accented with pave set cubic zirconia rounds. Each of these stackable rings is sold individually so you can stack two, three or more initial rings and personalize to your content. 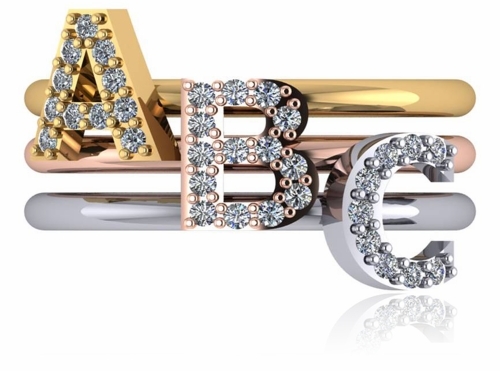 Choose any capital letter from A to Z and metal option in your choice of 14k yellow gold, 14k white gold, 14k rose gold, 18k yellow gold, 18k white gold and luxurious platinum. Whole and half finger sizes are available in the pull down menu and additional finger sizes can be ordered, please call for details. 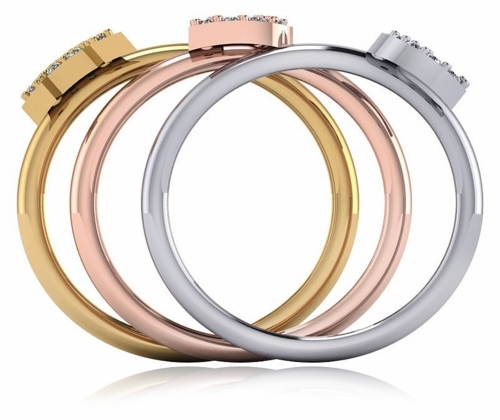 The band measures approximately 2mm in width and each ring is sold separately. For further assistance, please contact us directly at 1-866-942-6663 or visit us via live chat and speak with a knowledgeable representative.